He still holds WVU’s records for most touchdowns in a game, season, and career. A multitalented athlete, Rodgers also starred on WVU's basketball and baseball teams. In 1929, he won the state amateur golf title despite having played the game for only two years. 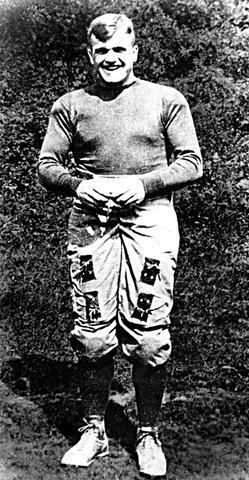 After his playing career ended, Rat Rodgers stayed with the Mountaineers as a professor and coach for four decades, twice serving as head coach of the football team. In 1953, he became the first WVU player elected to the College Football Hall of Fame. Many sports historians still consider him West Virginia’s greatest all-around athlete.